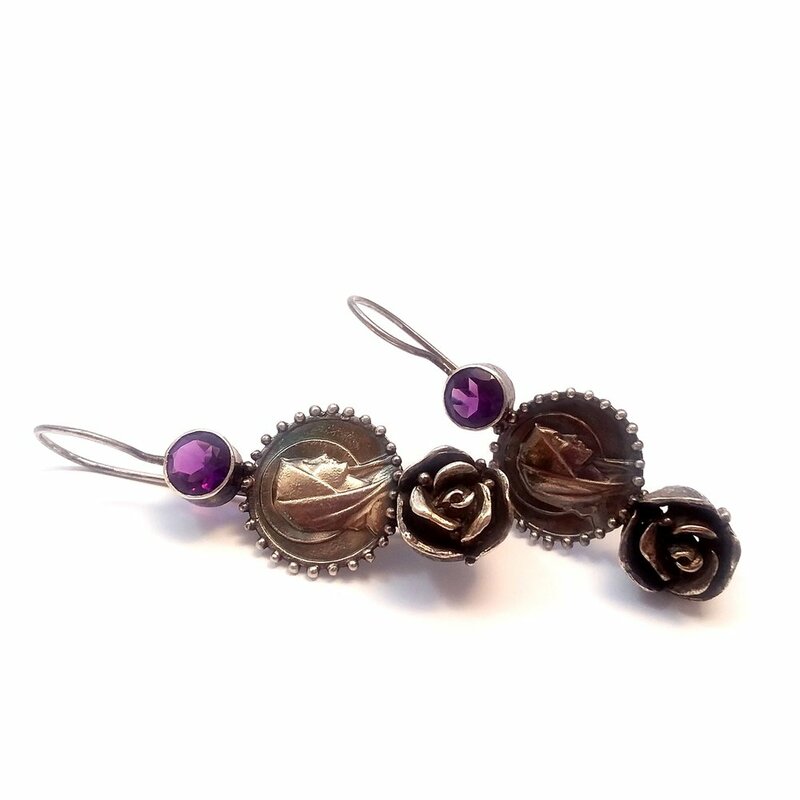 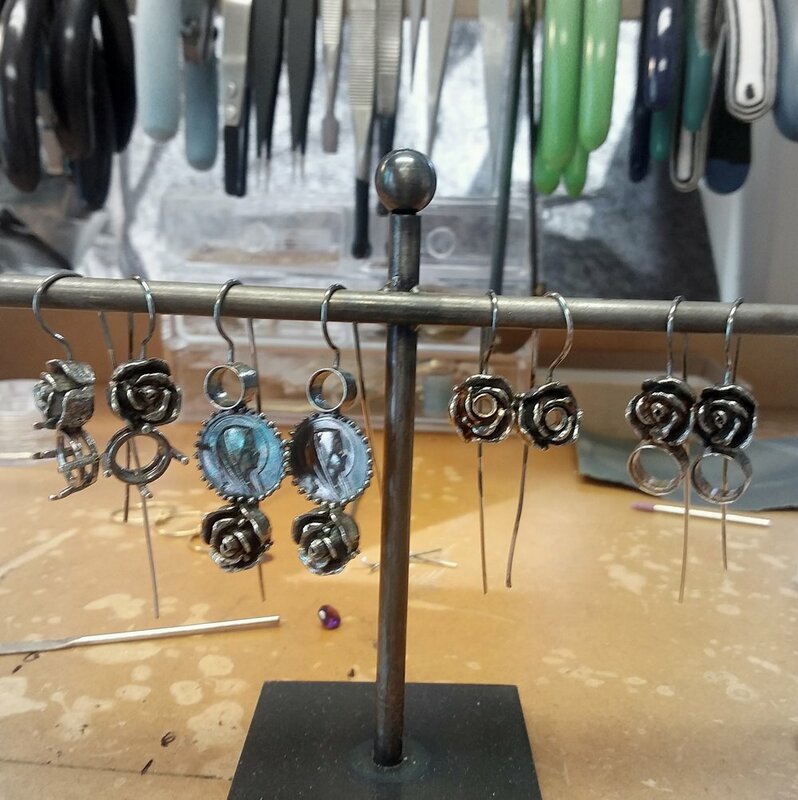 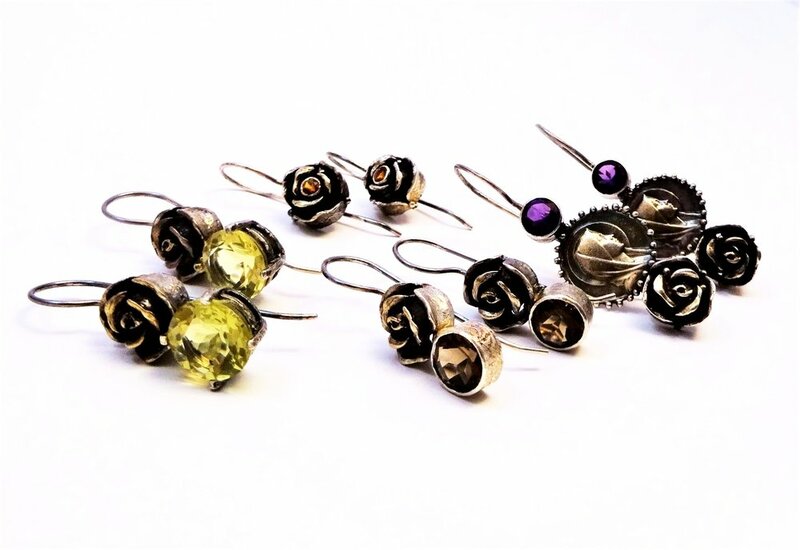 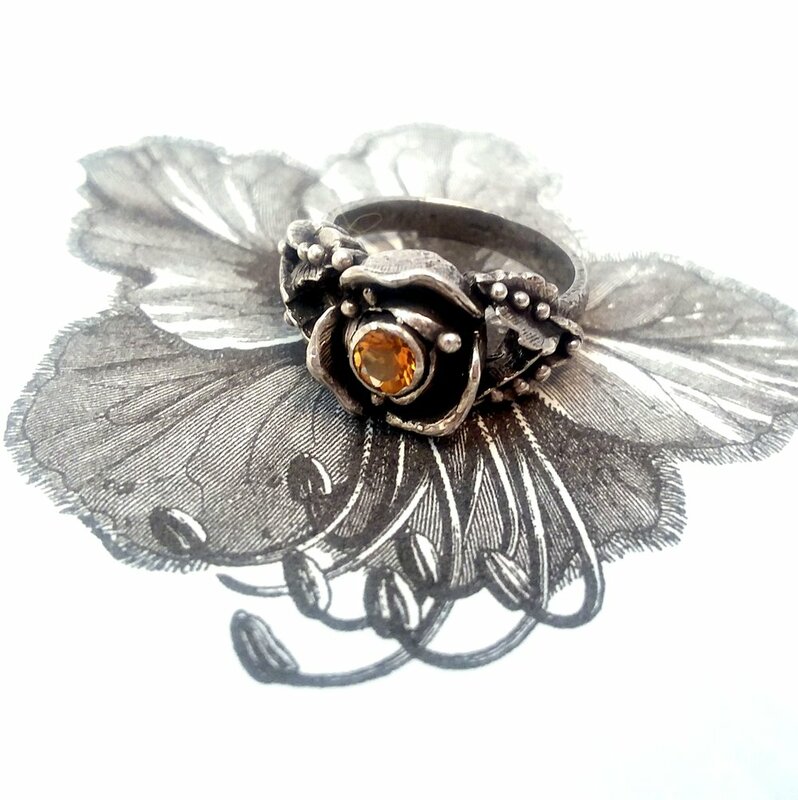 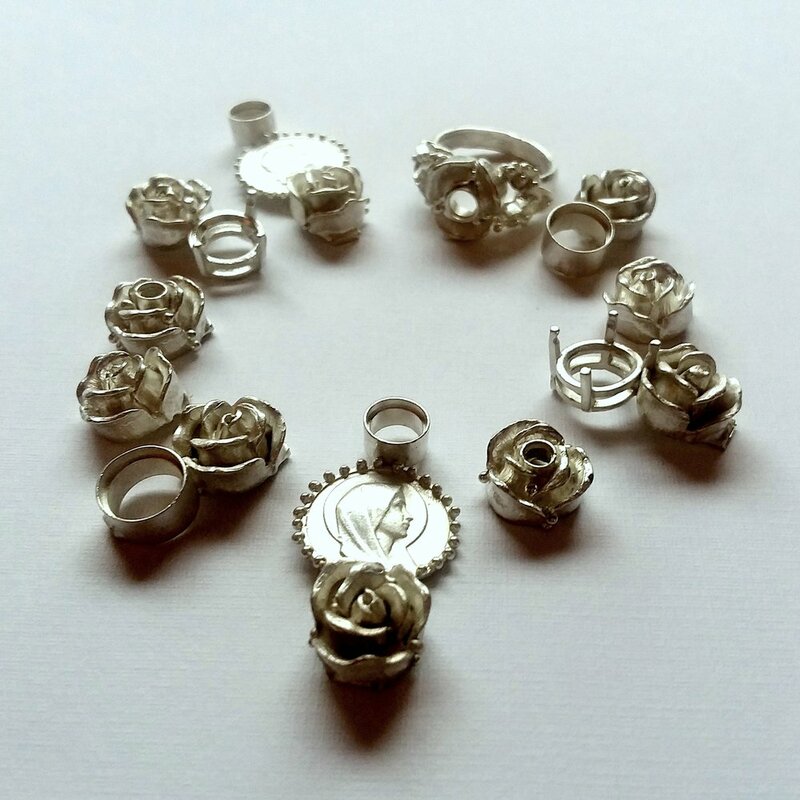 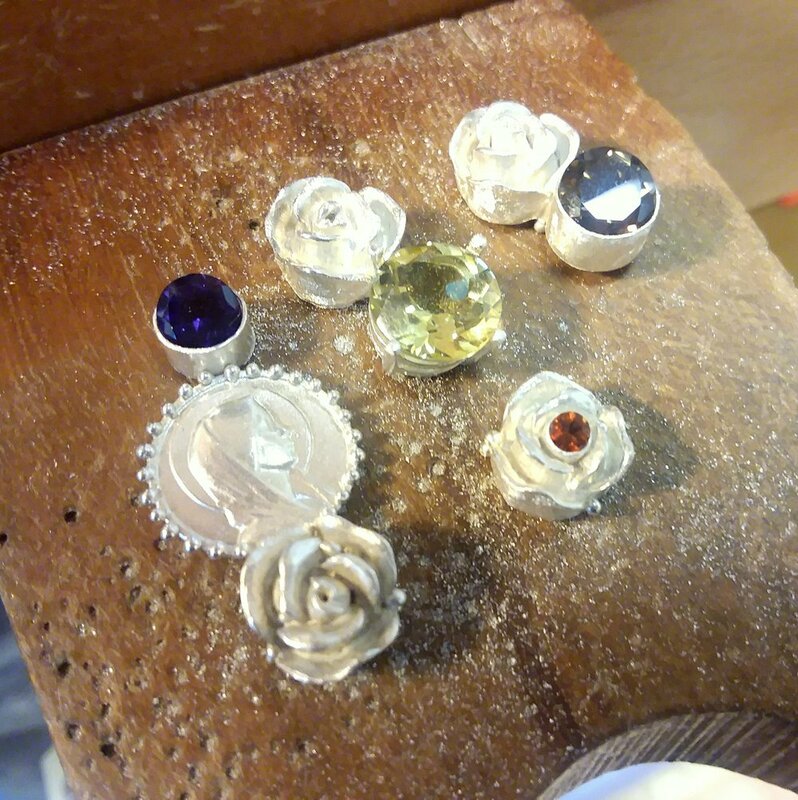 More complex, labor intensive forms are part of the second generation of rose earrings. 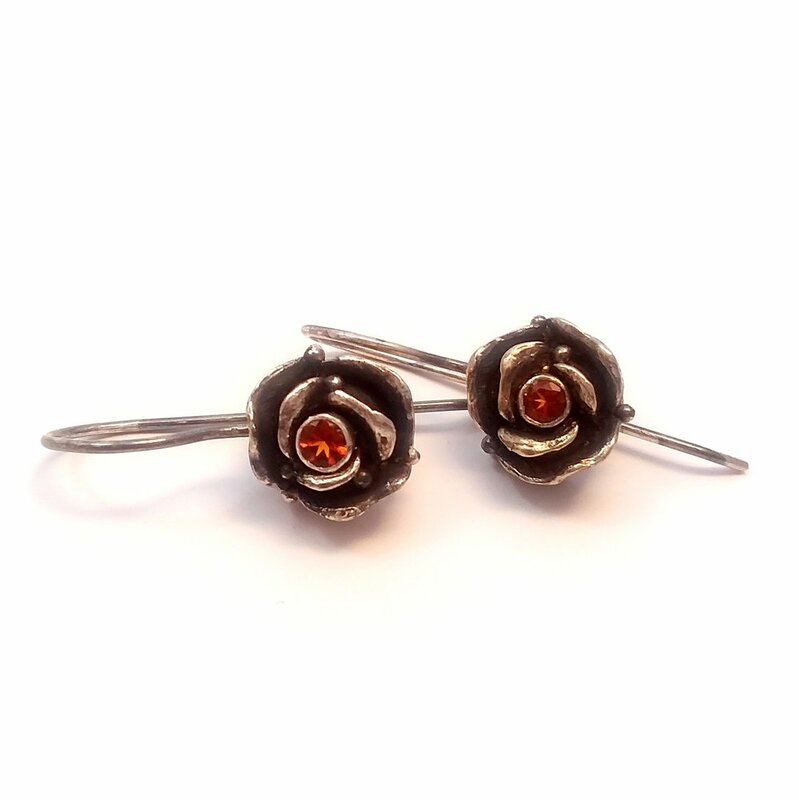 and the beautiful portrait of the multifoliate rose between them. 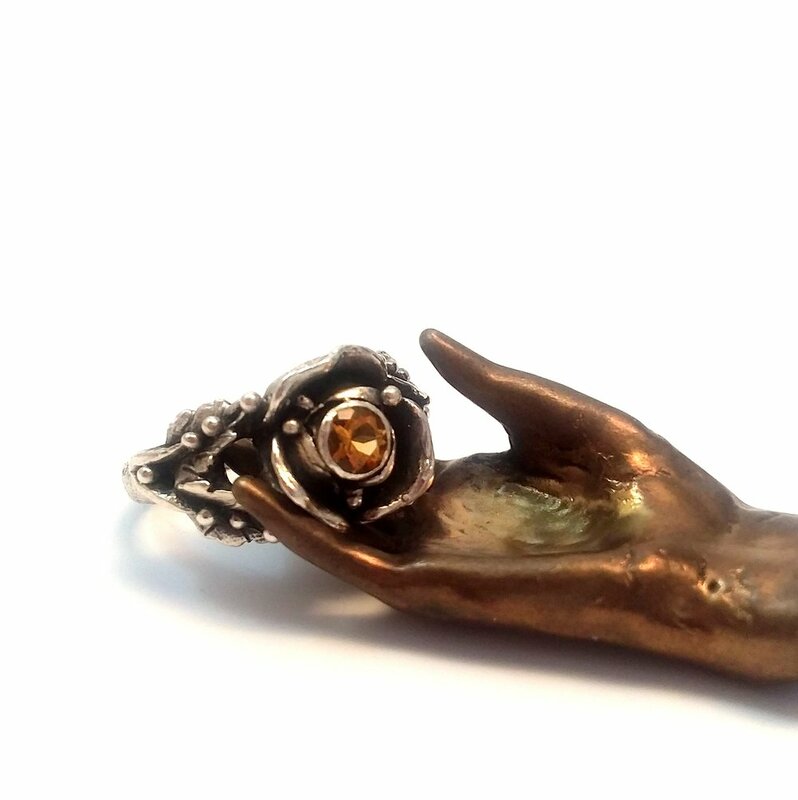 and a bloom of darkness on their petals.